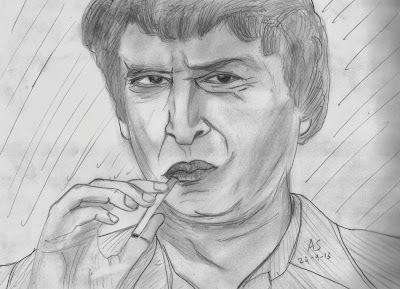 An artistic tribute to a great actor of yesteryears. Perfect - especially his lips and the eye. Not many writers are artists. Nicely done. Nicely done. So you are a multi talented writer. Hey created my painting blog! Made my first pencil sketch. If I compare it to your pencil portraits, then mine looks funny:) but please have a look!